Didn't have time to track attendance at your event? 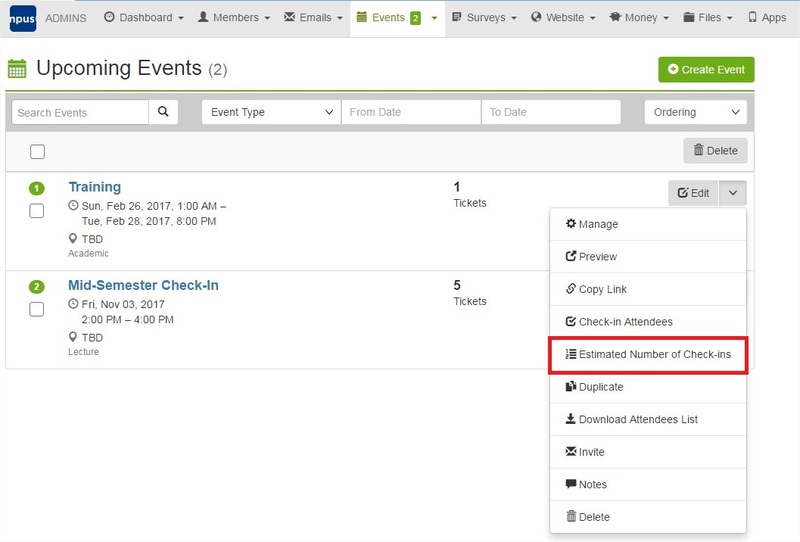 You now have to ability to enter the correct or estimated number of attendees for all your events after it happened. Click on the 'Events' menu. Click on the 'Manage' menu next to your event and then on 'Estimated Number of Check-Ins'. 5. Complete the estimated number of attendees and click on Save.